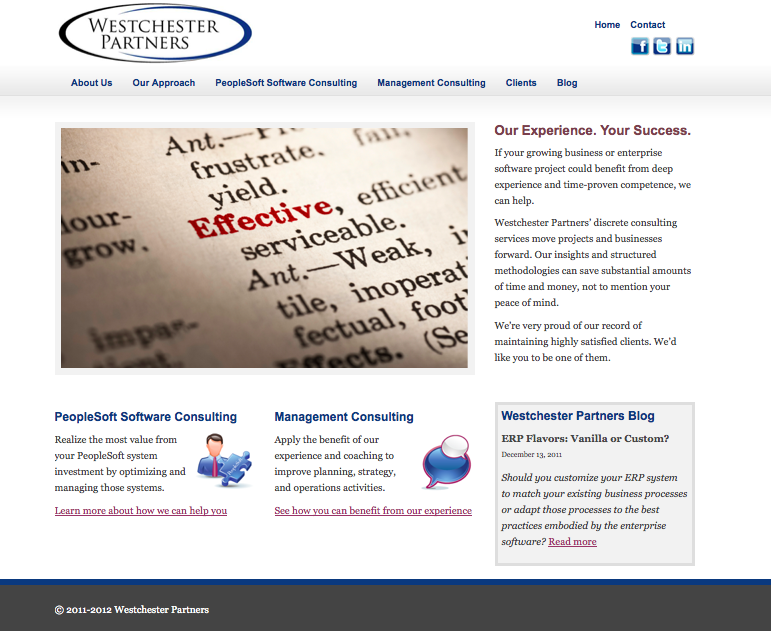 Westchester Partners needed an efficient process to give them a site that matched their level of professionalism. This Midwest consulting firm offers two seemingly distinct service lines: management consulting and PeopleSoft consulting expertise. What ties those together is the Westchester Partners approach to client work, which is based on customer success, value, experience, focus and professionalism. We worked with the founders using our quick start Ready, Set, Launch! program to develop a site that reflects their brand and provides them a solid backdrop for their sales efforts.